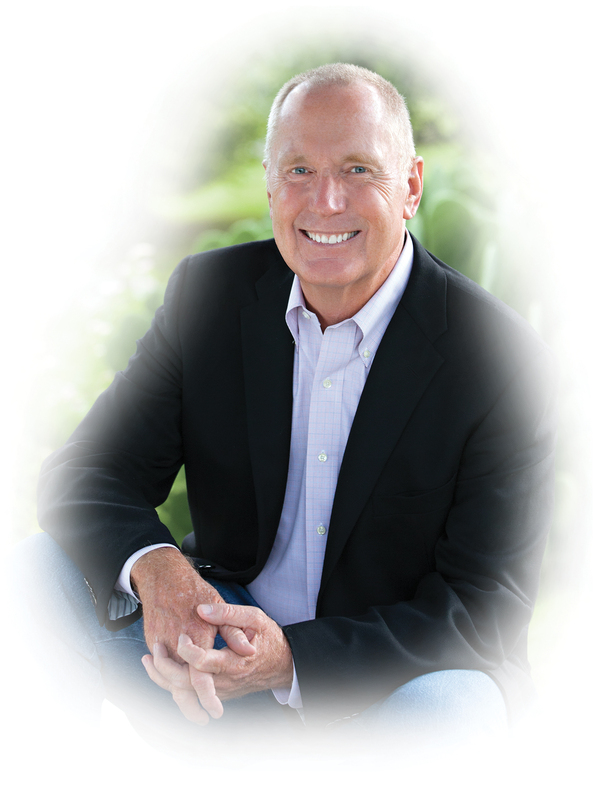 The Max Lucado Papers was established in 2015 when Lucado designated his alma mater’s Brown Library as the repository for materials documenting his career as a missionary, evangelist and writer. Lucado was the university’s Oustanding Alumnus of the Year in 2003 and earned bachelor’s (1977) and master’s (1982) degrees from ACU. 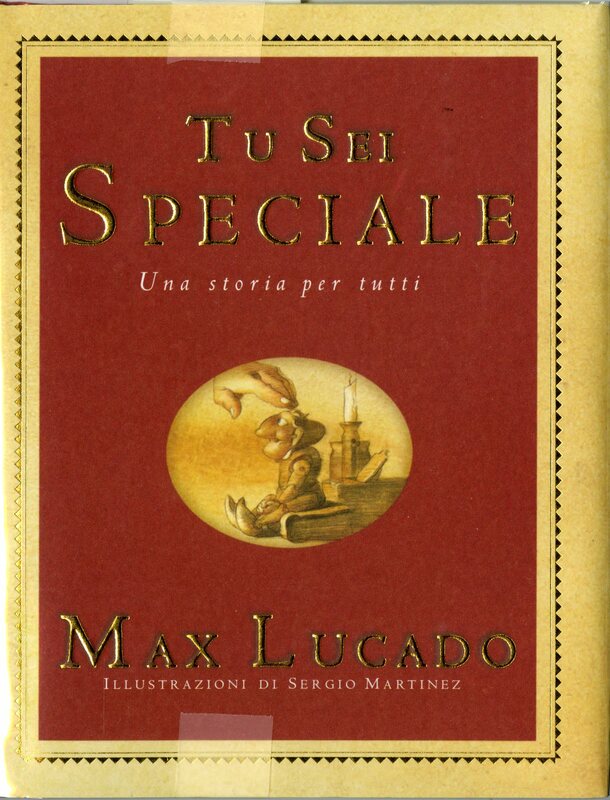 First published in 1997, You Are Special sold 1 million copies by 2001 and has since been printed in dozens of languages. 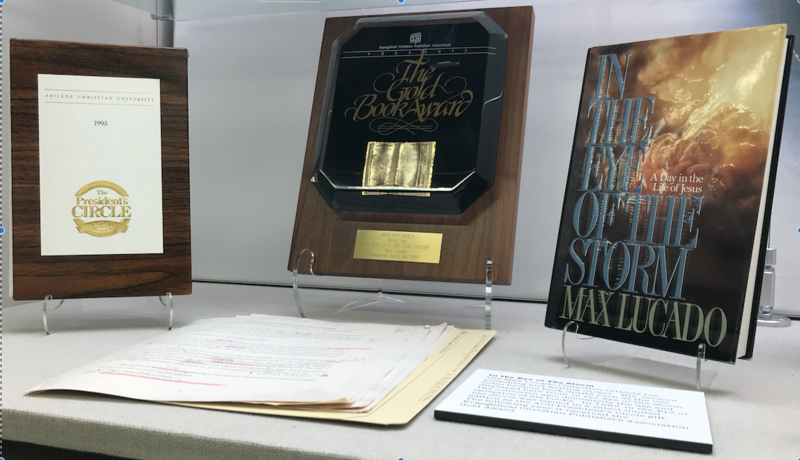 Displayed here are select language editions and the Evangelical Christian Publishers Association Platinum Book Award honoring the milestone sales achievement. Lu Ka Du, Ma Di Ni Si, Hui-wen Qiu, En-hui Guo, Max Lucado, and Sergio Martinez. Ni hen te bie. Tai bei shi: Dao sheng, 2000. Lucado, Max, and Sergio Martinez. Tu sei speciale: una storia per tutti. 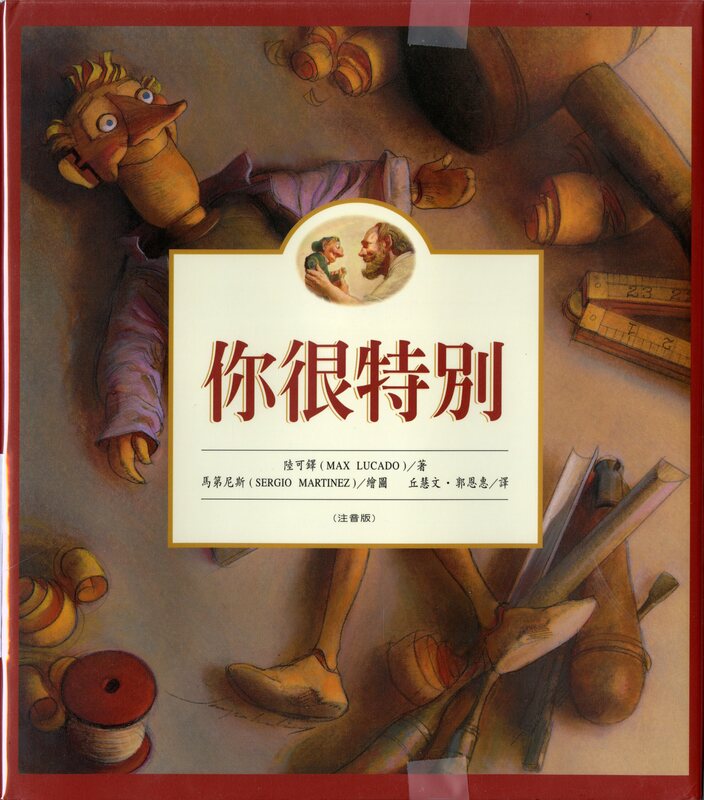 Cinisello Balsamo (MI): Edizioni Paoline, 2005. 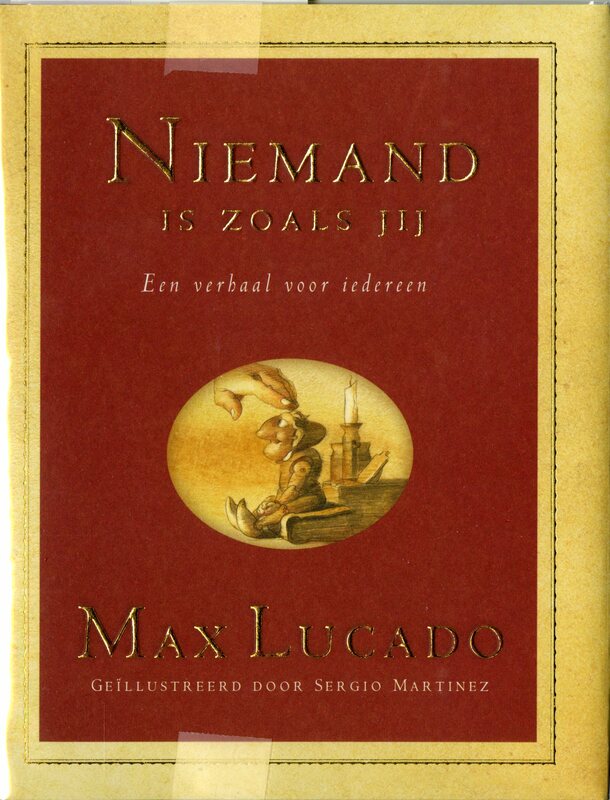 Lucado, Max, Sergio Martinez, and Marieke Hermans-van Rijn. Niemand is zoals jij: een verhaal voor iedereen. Amsterdam: Ark Boeken, 2005. Evangelical Christian Publishers Association The Platinum Book Award. Box 97 of 151, Series III. A Box 4 of 14, Max Lucado Papers, 1965-2016. Center for Restoration Studies MS #316. Milliken Special Collections, Brown Library. Abilene Christian University, Abilene, TX. 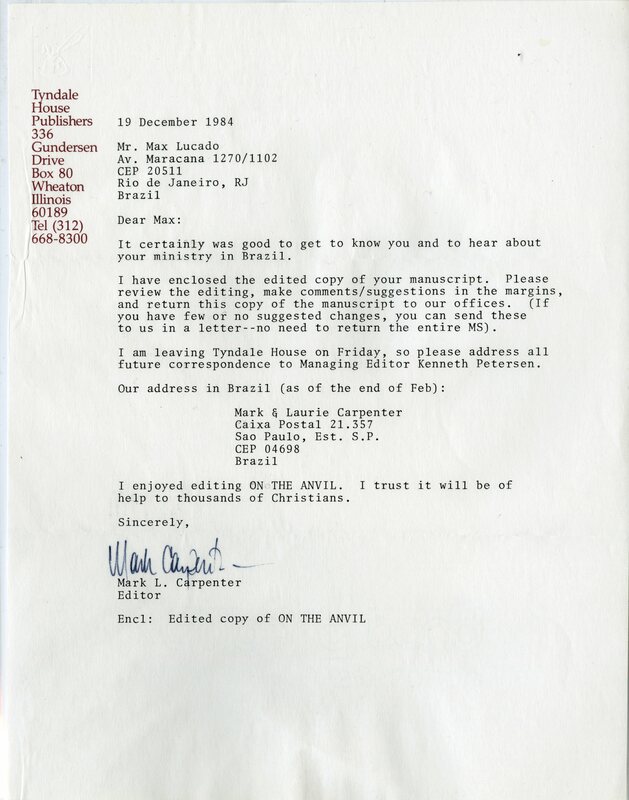 The Lucado Papers reflect Max’s preaching and writing career. His sermon notes became drafts of print books such as are displayed here from In the Eye of the Storm. The collection also documents the use and reception of his books. 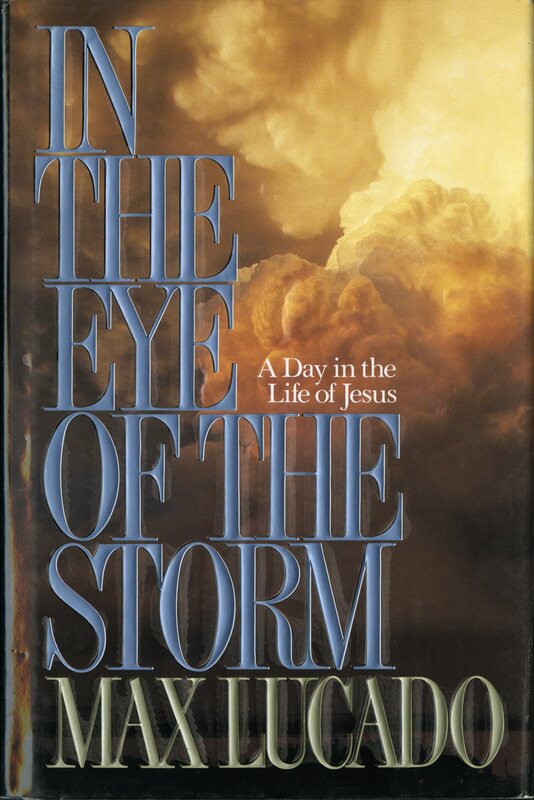 In 1993 In the Eye of the Storm was issued in a select limited edition as the ACU President’s Circle gift. The following year it received the Evangelical Christian Publishers Association Gold Award. In the Eye of the Storm draft. Box 6 of 151, Series I. 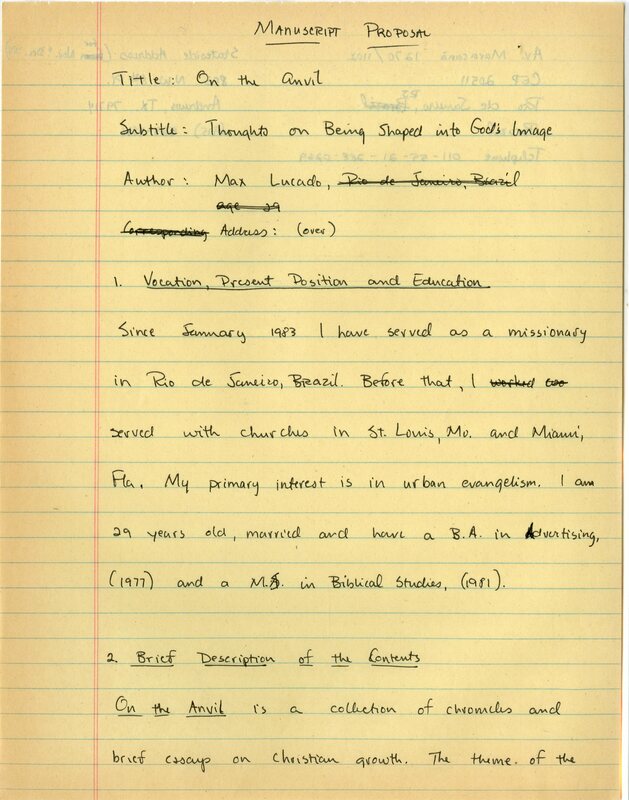 C Box 4 of 21, Max Lucado Papers, 1965-2016. Center for Restoration Studies MS #316. Milliken Special Collections, Brown Library. Abilene Christian University, Abilene, TX. Lucado, Max. In the Eye of the Storm: A Day in the Life of Jesus. Dallas: Word, 1991. 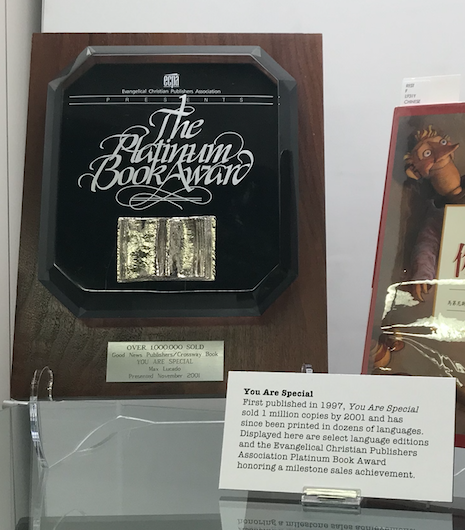 Evangelical Christian Publishers Gold Award, 1994 (center). Box 97 of 151, Series III. 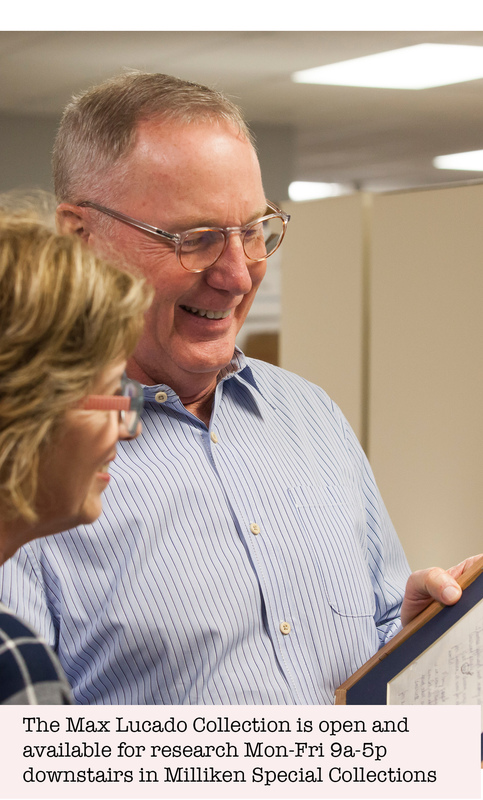 A Box 4 of 14, Max Lucado Papers, 1965-2016. Center for Restoration Studies MS #316. Milliken Special Collections, Brown Library. Abilene Christian University, Abilene, TX. 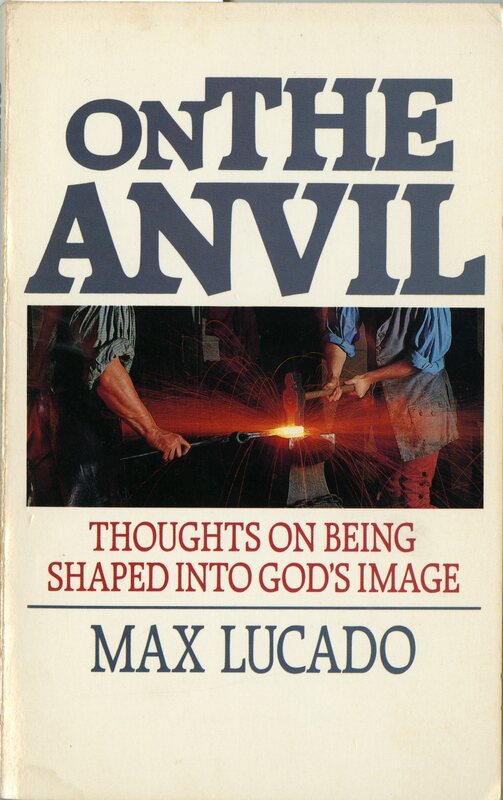 Lucado’s first book, On the Anvil, began as a series of reflections printed in The Central Concern, the weekly news bulletin of the Central Church of Christ, Miami, FL. Max shopped his manuscript to fifteen publishers, eventually receiving an acceptance from Tyndale House. The materials displayed here are the beginning of a publishing career spanning over 30 years, with dozens of books in 54 languages, and over 100 million copies sold. On the Anvil Manuscript Proposal. Box 1 of 151, Series I. A Box 1 of 1, Max Lucado Papers, 1965-2016. Center for Restoration Studies MS #316. Milliken Special Collections, Brown Library. Abilene Christian University, Abilene, TX. 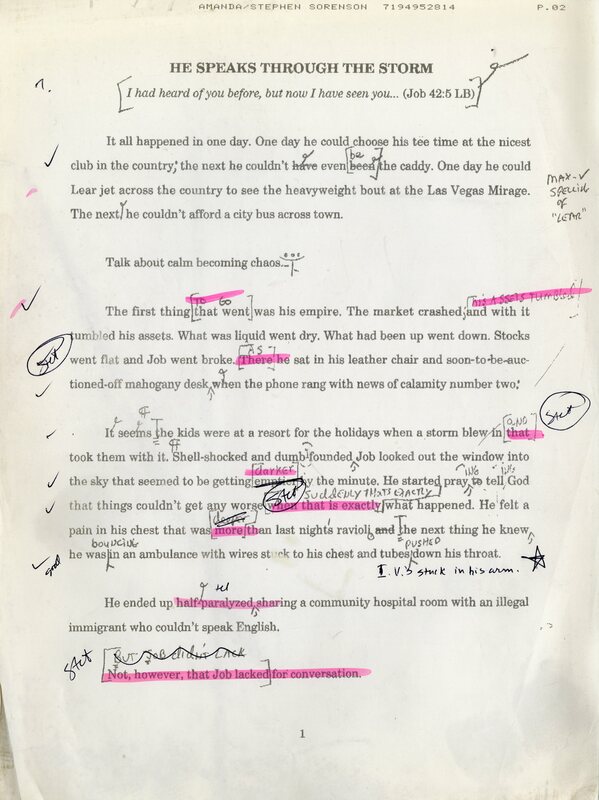 Draft of On the Anvil. Box 97 of 151, Series III. A Box 4 of 14, Max Lucado Papers, 1965-2016. Center for Restoration Studies MS #316. Milliken Special Collections, Brown Library. Abilene Christian University, Abilene, TX. Correspondence from Tyndale House. Box 1 of 151, Series I. A Box 1 of 1, Max Lucado Papers, 1965-2016. Center for Restoration Studies MS #316. Milliken Special Collections, Brown Library. Abilene Christian University, Abilene, TX. Lucado, Max. On the Anvil. Wheaton, Ill: Tyndale House, 1985. In 2003 Lucado brought stories of grace and acceptance to life for children through the adventures of a common caterpillar named Hermie. 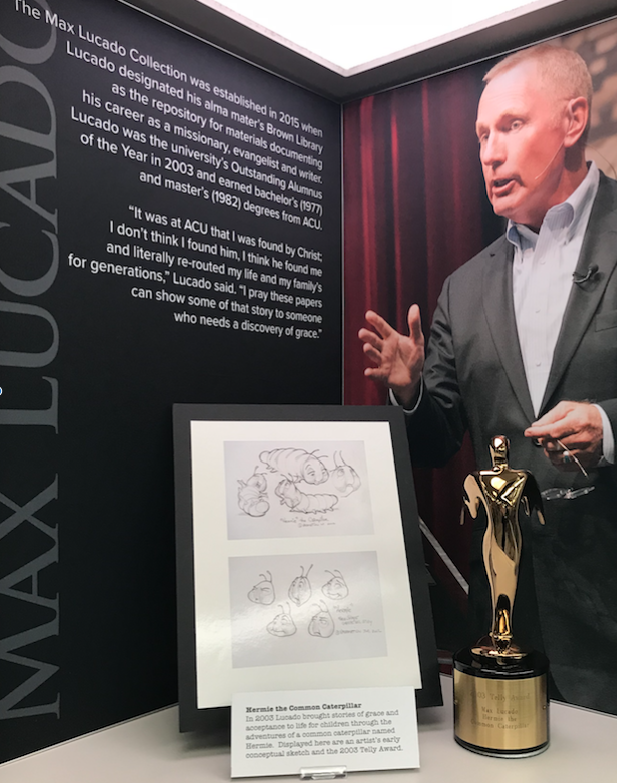 Displayed here are an artist’s early conceptual sketch and the 2003 Telly Award. 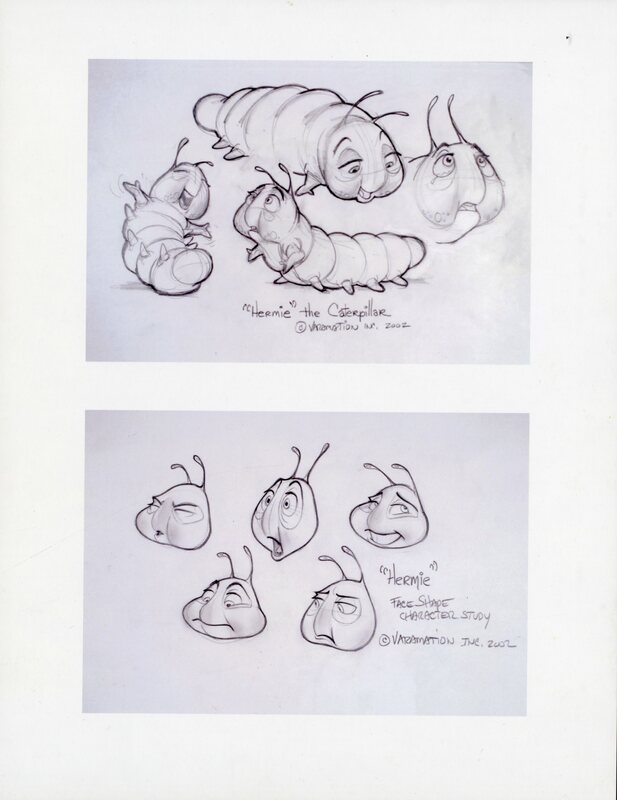 Hermie the Common Caterpillar Sketch. Box 2 of 151, Series I. 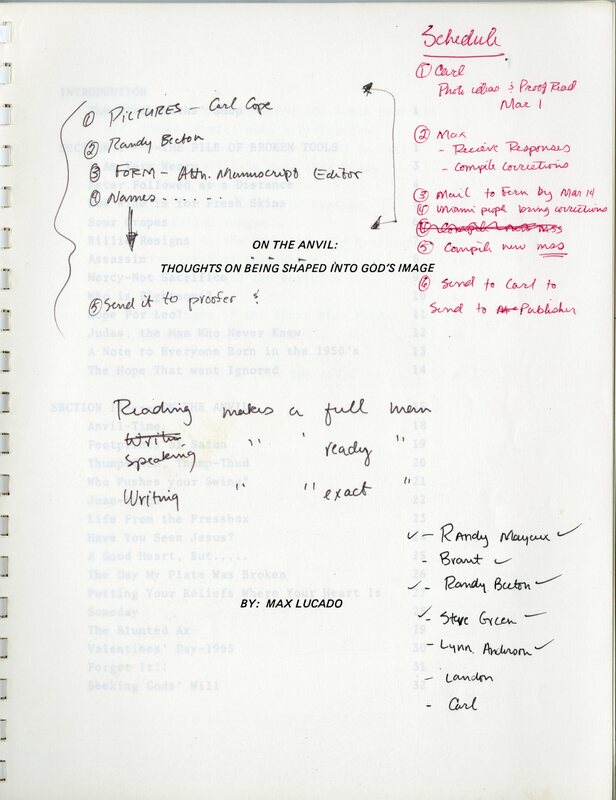 B Box 1 of 1, Max Lucado Papers, 1965-2016. Center for Restoration Studies MS #316. Milliken Special Collections, Brown Library. Abilene Christian University, Abilene, TX. Telly Award, 2003 (right). Box 97 of 151, Series III. A Box 4 of 14, Max Lucado Papers, 1965-2016. Center for Restoration Studies MS #316. Milliken Special Collections, Brown Library. Abilene Christian University, Abilene, TX. This exhibition was curated by Mac Ice and was on display in the ACU Library Learning Commons from September 2018 to March 2019. This digital exhibit was prepared by Amanda Dietz, October 6, 2018.